What is the Madden NFL 20 Game? Madden NFL 20 is an American football sports video game based on the National Football League (NFL), developed and published by EA Sports. Madden NFL 20 is the member of Madden NFL series to be released in August 2019 for PlayStation 4, Xbox One, Mac OS, and Microsoft Windows platforms. There is also a mobile option available if you want to play the game on your phone or tablet, so long as it uses either iOS or the Android operation system. Madden NFL 20 gives you game-changing control on and off the field. Real Player Motion transforms the way you play Madden delivering you gameplay control with precision and intent. Create and share custom Draft Classes, design your game strategy, progress your players and execute your game plan with all new positional archetypes in Franchise. In Madden NFL 20 Ultimate Team (MUT 20), train your favorite players to fit your roster and lead your team to glory in all new ways to compete. 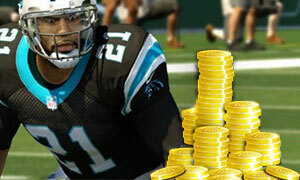 What Can Player Spends Madden Ultimate Team Coins on? Madden NFL 20 Coins, also known as MUT 20 Coins to avid Madden gamers, are the primary form of currency used in Madden 20. If you are a sports gamer, you are probably at least somewhat familiar with Madden 20. MUT Coins, or Madden Ultimate Team coins (MUT) are one of the most critical resources you can have at your disposal when playing Ultimate Team, which is a game mode within Madden 20. In order to be successful at Madden Ultimate Team, you need to build the strongest team possible and having a good number of MUT coins banked will help you do that. 1) First, you can buy players in the game which is perhaps the most relevant example of their use. If you want to acquire the best Madden Ultimate Team players, you are likely going to have to pay for them through the auction house. And your currency will be MUT coins. The better the player and the higher their rating, the more MUT 20 coins you can expect to spend. 2) The second use for MUT Coins is completing MUT sets. In order to complete sets, you need to have the right players which will ultimately bring you back to the auction house to purchase them if you don’t already have them on your roster. 3) Next, you can use MUT coins to buy other items, aside from players. You can purchase a number of items via the auction house including collectibles, managers, uniforms and play cards. All of these items can prove incredibly beneficial to your team and your chances of winning. 4) Lastly, you can use MUT coins when opening MUT Packs. These packs can be opened in two different ways, either with MUT coins or with MUT Points. MUT Points are bought with your actual real-life money through whatever gaming console or mobile device you are using to play Madden Ultimate Team. Most players end up buying MUT coins as it can take a very long time to build up enough coins in the game. It is possible to do so though, if you have the time and patience to spend earning coins. These options are free but can take much longer than simply Buying Cheap Madden NFL 20 Coins from Joymmo.com game store.